Comment: Looking to retrofit all windows in my house. 27 windows total. 2 story house, some windows large size 50"+ by 50"+ 1 glass sliding door to backyard. Currently windows are single pane. Want to replace with high quality dual pane low e glass windows. Comment: I have two 'new construction' windows already purchased and waiting pickup at Lowe's Dublin for installation on second floor, single family home, with good access. Replacement windows are same size or slightly smaller than existing windows to be removed. The windows are approx 3'hi x 5'wide so pretty big, Milgard Tuscany. Exterior 2x6 wood trim replacement can be done by the painter that will follow window installation if you don't want to get involved in replacing dry rotted wood. Removal of this exterior trim provides easy access to framing for window installation. Hope you can help at reasonable cost. thanks! Comment: Existing window is dated and does not completely close. Want window replaced with new window that opens and closes horizontally. Requesting glass not be see thru. Available for estimate on Mondays due to work schedule. Castro Valley Window Replacement Companies are rated 4.55 out of 5 based on 450 reviews of 21 pros. 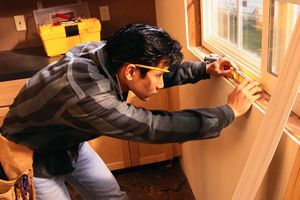 Not Looking for Windows Contractors in Castro Valley, CA?